‘Tis the season for delicious Christmas Food. It’s that time of year. The stockings are hung by the chimney with care, the halls are decked with boughs of holly, and the chestnuts have all been roasted on that open fire we always hear about. Fa la la la la, la la la la. The Christmas season is upon us, and you know what that means: yummy, yummy Christmas food and drinks. Often referred to as “Glow Wine,” German Glühwein is a traditional holiday beverage consisting of red wine (sometimes white wine) heated and spiced with cinnamon sticks, cloves, star aniseed, citrus, sugar and occasionally vanilla pods. Glühwein is often downed mit Schuss, which means “with a shot” of rum or some other liquor. 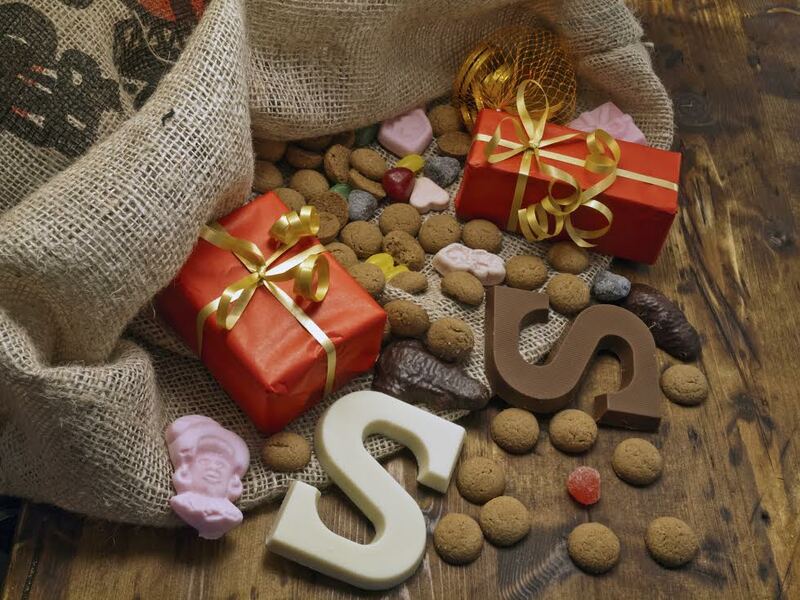 Kruidnoten, which translated means “spice nuts,” is a cookie-like confectionery traditionally baked in early December for the Sinterklaas holiday, a celebration of the life and accomplishments of Saint Nicholas. Kruidnoten are fragrantly spiced with ginger, cinnamon, white pepper, cardamom, cloves, nutmeg, brown sugar, and a hint of molasses. Yum! Because they are traditionally baked in December, Kruidnoten are often also associated with Christmas. A traditional Dutch and Belgian Christmas food, Oliebollen are a variety of dumplings made by scooping balls of dough into a deep fryer. The dough is made from flour, eggs, yeast, salt, milk, baking powder, and usually sultanas, currants, raisins and sometimes zest or succade. Oliebollen are usually served with powdered sugar. In Switzerland fondue is really only eaten in the winter, making it a typical Christmas party meal. There is a term the Swiss have invented to summarize how fondue impacts a winter party: FIGUGEGL. It’s pronounced like a word (fee-goo-geck-ul). FIGUGEGL is an acronym for “fondue isch guät und git e guäti luunä,” meaning “fondue is good and gives you a good mood.” We’re sold! Also known as the “Bread of Jesus,” Cougnou is a sweet bread that originated in the Hainaut province of Belgium in 1071 and is traditionally served around Christmas. Cougnou is made of flour, eggs, milk, yeast, raisins, butter, salt, cinnamon, and sugar and formed to look like a swaddled baby. Cougnou is traditionally enjoyed with a cup of hot chocolate. Mmmmmmm! AESU, the most trusted name in travel, offers unique, exciting travel programs for college students and young professionals at affordable rates. Each trip is action-packed and informal—designed just for people your own age. Click Here to view our many adorable trips. We are also able to design custom tours just for your group. Want help booking a trip? Please contact AESU by calling 800-638-7640 or fill out the contact form found on our website. And don’t forget to check out all of our great Travel Tips, especially the Travel Tips for Europe, before you head overseas. This entry was posted on Tuesday, December 23rd, 2014	at 2:36 pm	. You can follow any responses to this entry through the RSS 2.0	feed. Both comments and pings are currently closed.